Stephen Teeling was on hand at Trinity Hall Irish Pub tonight to introduce Teeling Whiskey to the USA. This was his first stop among many cities throughout the country pouring samples of their Irish whiskey in advance of their product availability in local stores. His brother is on a similar journey that begins in San Francisco on this same night. Stephen sat down and visited with us for a while, intimating their history as a contract distiller, then an independent bottler (of their own contract distillation), and now a full distillery that bottles their own product. 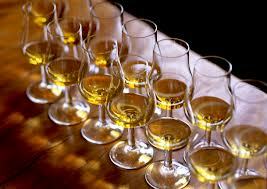 Their initial product is an Irish whiskey finished in Flor de Caña rum casks for 6 months. The rum was mostly evident on the nose along with sweet sorghum and overripe fruit. The taste was somewhat sweet, medicinal and herbal, while the finish left an almost numb feeling in the mouth and a slight burn in the back of the throat. This is an un-chilfiltered, 46% ABV dram that exhibits potential on the nose, then lets you down on the palate. It’s not bad (like Jameson’s entry level whiskey), but it’s no better than acceptable. The flavors even seem like they want to be something else, but that numbing, herbal effect really ruins any potential that is waiting in the whiskey. I don’t want to be too negative here. You should give this a try for the unique experience, especially if you like whiskey with an herbal characteristic that follows a richer, fruity flavor than any entry level Irish whiskey I’ve tasted. For comparison, I much prefer Jameson 12 or Bushmills Black Bush to this one, but I believe that Teeling Whiskey will cost a bit less. I suspect that there will be many opportunities in the upcoming months to sample Teeling Whiskey as they attempt to establish a North American presence. Be on the lookout for a tasting… especially a free one! Posted in Whiskey. 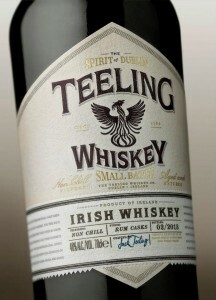 Tagged Irish, Teeling. Of these, the Redbreast 12 , Jameson 12 and Jameson Gold Reserve were standouts. 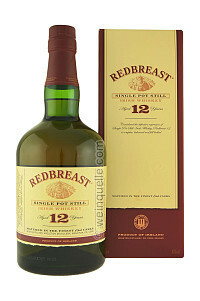 I already have a bottle of Redbreast 12, but I think that my next Irish whiskey will be Jameson 12. The two premium offerings were quite good as well, but not enough to tempt me when compared to some Scotch single malts in that price range. I should also note that the Jameson Original and Powers Gold Label weren’t even worth drinking, in my opinion. I’ve never really liked Irish whiskey and Jameson Original is a big reason for that. I’m now discovering that there are some good ones out there and I’m looking forward to enjoying them. Posted in Whiskey. Tagged Irish, Midleton. My nose is a bit off due to allergic reactions to the Spring (this is Texas), but I’m trudging forward as best as I can. I may follow up with some additional notes. In any case, this whisky produces smells of creamy dark caramel, ginger, dark cherry, grass, ripe apple and malted dark chocolate. I taste ginger, apple, lemon zest, vanilla, dried peach, creamy caramel and white pepper. The finish is mildly leathery with the white pepper persisting beyond everything else along with a bit of wood. This is a tasty, spicy whisky without too much sweetness or bitterness. The fruit and candy flavors work well with the overall flavor profile. This is such a huge step up from Jameson Irish Whisky because everything seems to come together nicely in a way that livens up the experience. Jameson is thin by comparison. I’m definitely glad that I picked this one up and, of course, I’ll have another dram on St. Paddy’s Day. Posted in Whiskey. Tagged Irish, Midleton, Single Pot Still.